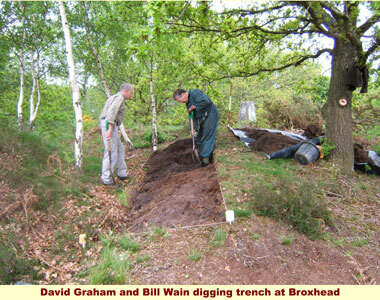 The part of Broxhead Common that is in Headley parish consists of 42 hectares of dry heathland and secondary birch/oak woodland. 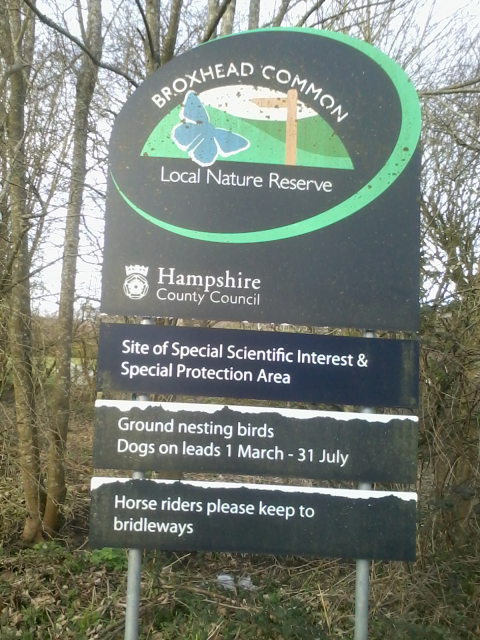 The Common is situated just outside the town of Bordon. using the A325 from the north and south or the B3004 east and west. The site entrance is towards the bottom of the section of the B3004 which runs between the A325 and Lindford road (Grid ref SU806369). 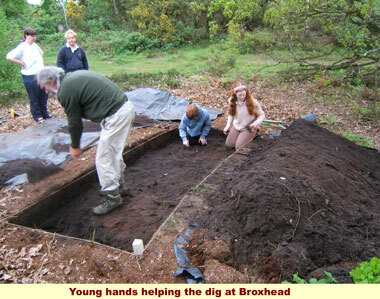 The Society excavated two trenches into a probable Bronze Age Barrow on Broxhead Common in the Whitehill parish during May of 2006, in the hope of obtaining environmental samples from any turf core and buried soil levels. Unfortunately the mound turned out not to be a typical heathland barrow. There were therefore no turves or buried soil levels, but we did find a scatter of charcoal and ash and a sherd of probable Bronze Age pottery. Surprisingly the charcoal was found to have been from beech trees (that are not usually associated with this area) and has been radio carbon dated to the middle Neolithic period (about 1000 years earlier than the probable date of the barrow). This means that around and about 3500BC someone had a fire on the mound and the ash and charcoal became buried under a layer of sand. Much later, around 2000 BC a ditch was dug around the mound and the spoil dumped on top of it, presumably to raise the profile and to create what, from the outside, looks like a standard heathland Bronze Age burial mound. This is most unusual as a construction technique and is of considerable interest - a slight compensation for the lack of environmental evidence.